Last Saturday, Nicholas Kristof of the New York Times wrote a powerful op-ed piece–an indictment, really–about the epidemic of suicides that are occuring among combat veterans., entitled “A Veteran’s Death, the Nation’s Shame.” With the column, the Times published on its website a short film concerning the death by overdose of Spc. Ryan Yurchison, put together by the filmmaker Timothy Grucza, entitled “Good Night, Ryan.” I strongly recommend both pieces to you. The VA takes its hits in both pieces. As I say in my “About Me” page, I do not in any way speak for the VA, DoD, or any other branch of the government. My thoughts–my reactions–are of a man who happens to be trained as a psychiatrist and a psychotherapist, who happens to be a husband and a father and a son, who happens to have the privilege of working with men and women who have been so willing to give of themselves–and who happens to work for the VA.
That is how I respond to Ryan’s story: as a man, a psychiatrist, a husband, father, son. Who happens to work for the VA. Ever since I was a lad, I have often been able not only to sense, but to feel the very hearts of others. I have learned through the years how many times I have been mistaken in my understanding or interpretation of those hearts. I can be quite petty and irritable, as those who’ve been following the blog from the beginning well know. Yet from what people tell me, I’ve many times been accurate as well, even helpful. When I was younger, I found this more curse than blessing. Now, it’s the opposite (though I don’t want to overstate that point, believe me). It’s an amazing opportunity, though, to be my age and to have so much of life come at me, infiltrate me, even–to a certain degree–lodge within me. Thanks to a very patient therapist who refused to let me do anything but grow, I have managed to construct enough-of-a-self that I can now do for others what he did for me: take in at least some of their pain, enough to give them a chance to find–and create– enough-of-a-self as well. For that I am deeply thankful. Yet I can only be silenced before Ryan’s mother Cherry DeBrow, his brother Michael Yurchison, his best friend Steve Schaeffer. Though in a sense I can feel their hearts via their voices, their faces, in the deepest sense I haven’t a clue. It’s precisely because I have my son that I cannot imagine life without him, my life without my daughters. I don’t “go there” because I can’t go there. One only goes there when, like Ms. DeBrow, one is there. For those of us who have the opportunity to work with combat veterans, we have both an advantage and a duty. Our advantage is an obvious one: unlike the veteran’s family, friends, even the veteran him or herself, our time with the veteran’s pain is limited, once a week if both of us are lucky, more like once a month–if even that. The horror of war does not invade us hour by hour as it does the veteran and all those around him or her. We spend our half hour or so with it, one hour if again we’re lucky. Then we’re done. But therein lies our duty. 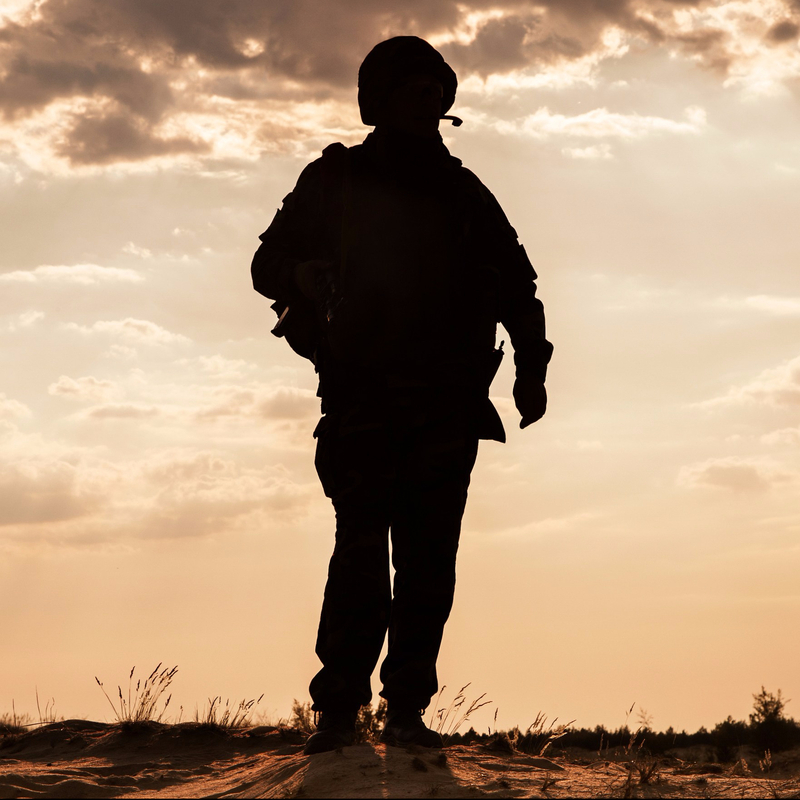 In that half hour, that hour, we have to open ourselves as much as we can to all the terror, all the rage, all the shame that comes our way–that comes the veteran’s way 24/7. It is our responsibility to be mature enough to manage those emotions as best we can, and it is our duty–if I might be allowed a more dramatic word, our “call”–to do just that. When I’m with a veteran in the worst of his or her pain, when the War threatens to engulf us both, right there in the middle of that cubbyhole I call an office, I always go in my head to the same image, the same experience. I feel a steel rod ram itself right down my middle, implant itself in the ground beneath me, anchor me in some semblance of a here-and-now reality to allow both of us get through the next five minutes–what am I saying, the next five seconds. And then in my mind, I just have to grab onto the veteran and hold on. For dear life. And when he asks me, “Why? Why do you care? Why should I care? Why should anyone care about anything?”, I can only reply something to the effect of “Because I’m here and because you’re here–and because I’m not going to give up.” Believe me, there has been more than one veteran who has questioned whether that morsel of pithiness should matter one iota to either of us. Believe me, I’m in no position at that moment to debate the issue. I can only give the man or woman a choice as to whether he or she is going to even consider whether I mean what I say and whether my being there matters–yes, as a psychiatrist and therapist who’s trained to weather the pushes and pulls of such encounters, but even more as a fellow human. Nothing more. Ms. DeBrow, Mr. Yurchison, Mr. Schaeffer: I can never fully understand what happened, never even begin to understand what you’re going through. I can only offer you this: I will remember Ryan. I will keep doing all I can so that other mothers, brothers, buddies need not hurt as you have. That I can promise you. I want to thank you for what you wrote. Working within the of the VA gives you a gift to to make a difference. I understand that under the constraints of the VA you are limited. But I pray you make every second count. Maybe the next time you are asked why you care…you should just say “I’m not sure but I do” because out seems like you do. Thank you so much for these kind words. I am glad each day to be working with these men and women who have served. My best to you. Oh my goodness, I just put this together. I’m so sorry: it’s been a long day, and I’m not quite up to par, I’m afraid. Thank you so VERY much for your response. I truly meant everything that I said. You and your family and Ryan’s friends have suffered so much. I do hope that I can do what I can–whether through this blog or through my daily work–to ensure that other men and women can take the risk of another day and somehow–somehow–find the hope that only love can bring. My deepest condolences to you, to Michael, and to all who loved Ryan. May your best memories of him make each day one worth fighting for, one worth loving in. No ned to apologize. I completely understand. God bless you and the work you do.